On a typical Sunday morning drive through Omar, W.Va., about 10 miles south of the Logan County seat, there’s little activity along the two-lane road that winds its way through the community. Once a bustling coal town nestled between the mountains, empty storefronts and pothole-lined streets suggest a place whose best days may be behind it. Yet election signs dot front yards, people gather at the lone filling station to discuss the day’s news, and the parking lots of the area’s many churches spill cars into the street. For some longtime residents, however, this version of Omar is far removed from the one of years past. And yet, it remains home. 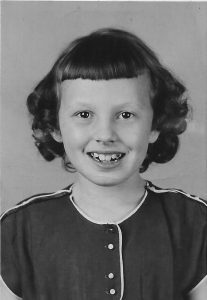 At age 3, Kathy (Sizemore) Browning moved with her parents and younger brother from Norton, Va., to Omar. The year was 1951, and Kathy’s father, a World War II veteran, was seeking work in the coal mines. Built upon a thriving coal industry, Omar seemed as good a place as any to settle down. Jobs like working at the theater, though, were rare. In Omar, if you were employed, it was most likely in the mines or for the company that owned it. The miners wouldn’t get paid in money. They’d get what they called scrip that they’d use at the company store in exchange for goods. The store stocked everything a family would need, from food to furniture to clothes. People would place a call to the store, give the clerk their list, and the order was delivered to the front door, because no one had transportation, unless they owned a horse. In fact, the grocer wasn’t the only one making house calls. The town doctor – also a coal company employee – would come to those in need. From the basic needs of food and shelter to medical care, it was all controlled by the coal company. Kathy recalls a line from the Tennessee Ernie Ford classic “Sixteen Tons,” which, she says, rang true for the people of Omar. Having the secure income that a coal job provided didn’t mean life was easy. Many of the homes didn’t even have indoor plumbing. This lifestyle carried Kathy through her childhood, but in the early 1960s, she noticed things beginning to change. 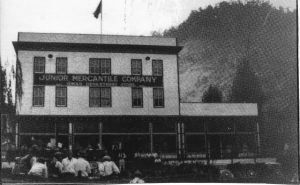 As automobiles became more prevalent, people were less reliant on the coal company store and were venturing elsewhere for their needs. Slowly, the days of coal company-owned life dwindled as more and more people ventured beyond Omar’s borders to trade. Even then, the decline in the coal industry was evident as mines began to close and people moved on. 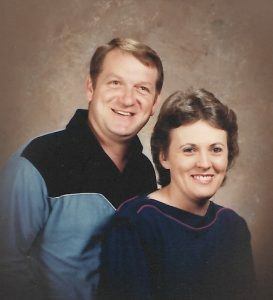 While in high school, Kathy met her future husband, Stacey Browning, the son of her first and second grade teacher, Inamae Crockett Browning, a descendent of frontiersman and politician Davy Crockett. 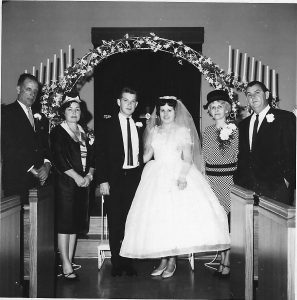 The two dated while Kathy finished high school and married in November 1966, shortly after her graduation. The newlyweds rented a small house in the nearby hollow of Cow Creek. 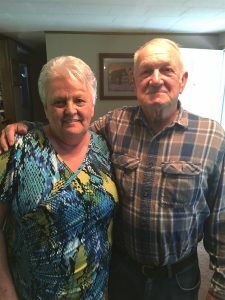 The couple eventually moved to Delbarton, in Mingo County, and had their first child, daughter Cindy, in 1970. They then moved to a mountaintop on the West Virginia-Kentucky border. Watching for fires proved to be a secure job. With so many hours to kill and so much to see from a mountaintop tower, it was easy to become distracted if activity did occur, whether or not it was fire-related. Eventually, Mother Nature wore out her welcome on the mountaintop. The storms were so strong that wind would jostle the tower, and lightning would often strike the cabin, burning up the telephone line and light bulbs. It became too much for the Brownings. After coming down from the mountain, the family lived with Kathy’s parents for a time, then moved to the Mingo County town of Red Jacket before landing once again in the Omar area, first in the Barnabus community then back to Cow Creek. Stacey and Kathy welcomed two more children along the way – son John in 1976 and Matthew in 1980 – and have called Cow Creek home ever since. Kathy has watched the coal industry’s effect on her town from its early, successful days, to its steady decline. She recalls her life in Omar with a fondness that, while still evident, has shifted in recent years. It’s still a good place, still home, she says. But different. With the expansion of cleaner energy sources and stricter environmental regulations on coal mining, leading to what some in the region call a “war on coal,” many people who have long relied on coal to put food on their family’s table are left without a job – or a marketable skillset to fall back on. Now retired, and with their children long out of the house, will Kathy and Stacey join those who are moving out of Omar? It isn’t likely. Daughter Cindy married a coal miner and lives with her family in nearby Switzer. Older son John and his family reside in Logan, and youngest Matthew in Charleston. Kathy and Stacey will welcome their first great-grandchild later this year. At age 67, with an extended family of children, grandchildren and, soon, great-grandchildren, packing up and leaving just doesn’t seem worth it to Kathy at this point in her life. 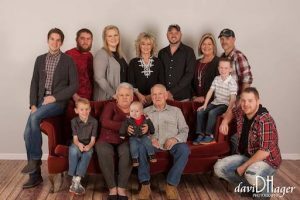 Like so many of the mountain men and women in the town of Omar, for Kathy Browning, it would seem her roots are firmly planted. As the times continue to change, however, what will grow around those roots remains to be seen. I loved reading this. Thank you for sharing. Very enjoyable reading. I like everything you write. You are awesome. Enjoyed reading this. My Mother (Virginia Taylor from Monitor) got her first teaching job at Cow Creek in the late 1920's. She had to wade the creek to get to her school. This was great reading! Thank you so much for sharing your mom's story. It was beautiful! Enjoyed reading this great story! Glad that Kathy & Stacey are my in-laws. Enjoyed this story…I have a sister "Frances Browning". I was a Browning and may be related to the Brownings here. Most of the Brownings in my family were from the Montgomery County, KY area but may have come there from VA or WV. Great story about our little piece of West Virginia. Beautiful words, beautiful people, beautiful time in our lives. Thank you Matt. Thanks, Matt, for writimg this spread. Your Mom has come a long way since the good old days at Prenter when I used to carry her and Johnny around the house in my arms. Enjoyed the read. Love to the Sizemore and Browning families. I so enjoyed reading this. It brougt back so many memories Thank you so much. I really enjoyed the story.. I grew up in Micco,W.v. My Dad worked for West Virginia Coal and coke at Omar..He would take us to the thearter..I can hardly remember it. It was in the 1940's..I was a Coal Miners Daughter…. Enjoyed this very much. Worked with Kathy in the 1970's at the Logan County Health Department. She was the family planning lady. Really good in counseling her clients.. The health department had a good crew in all areas. Best wishes . My mothers family the Deans, James Lester and Edith Dean, lived there. My mom Marie Dean Hall was born in 1942, and was raised there. She has nothing but fond memories of growing up there. I loved reading this article. Very personal and warm. The mines shut down and my family moved from Chauncey in 1955. We lived up on the hill across from and just down from the ballfield. We had to cross the tracks and go up the hill. I was 7 or 8 at the time. I remember sitting on our front pouch watching ball games at the field. Seemed to be a better time. Ron, I do believe it was a better time. My daddy worked in a mine not far from WV, a little town called Crab Apple, OH, just a few miles from WHeeling. I remember living in a company town. It was a little place heated with a pot bellied stove. The outhouse was just across the dirt road from our house. In 1950, we had a snow storm that was devastating. The company store was about a mile or two up the road from our town and everyone in the town needed groceries. I must have been about nine or ten years old then. Anyhow, dad had this really old Frord (Model A), I believe. It was the only car in town that had wheels high enough to go through the snow. I remember helping the other miners and residents digging ahead of dad's car to the store with shovels. And, most of all, I remember sitting near that old pot bellied stove listening to the miners talking. Most especially, I remember a conversation one night when one of dad's friends said……. "If a man could make $100 a week, he sure would have it made." I'll never, ever forget that. I loved this story. My mother Leona Ann Browning was born in Cow Creek in 1928 to Martin and Lorene Rogers Browning. Martin's family I belive lived in the area for generations. My parents moved to Huntington in 1955 right before I started school and from there we moved to California when I was 10. I have wonderful memories of visiting my grandmother in Cow Creek, although she eventually moved back to Kentucky. Of her 8 children only one Barbara Adele Browning Porter stayed in the area. She was a teacher and a principal there for many years. She passed away in Barabus a few months back. This summer my husband and I came out to visit my Hatfield cousins. I was so shock to see how bad off everything is. Your story was marvelous. My WV connection began with the Hatfields. William Anderson (Devil Anse) and Levisa Hatfield were my Great Grandparents. My Grandma, Elizabeth (Betty) was their 7th child with 6 older and 6 younger siblings. Grandma married John Caldwell and had two children, my Mother Osa and her brother Joe Caldwell. My Mother at 18 married my Dad, John Bogle Browning.They had 11 children in all, with 3 of my brothers dying at brth and brothers and three sisters, myself being the youngest. We lived in several places. My Grandma lived with our famiy even long before I was born in 1939. We lived in Barnabus, Logan, Islad Creek. I graduated from Logan High in 1957. Married my first sweetheart on my 18th Birthday. He was from Micco . We have One Son and two daughters, 6 grandchildren and 6 Great grandchildren. We all live in Bluff City, TN We go to Logan usually Memorial Day to tidy up the Hatfield Cemetey where very many famiy membersare restng in peace. I am now widowed since 12-18-2013 and now 77 yrs old. Sorry some mistakes but was not able to correct them! This is the best story I've read about WV in many years. Learned something new about the owners of the mines. I never knew they owned the whole town. A wonderful story. I enjoyed your story. I too am from Logan County having lived in Switzer, Cow Creek and Sarah Ann before moving to Clearwater, FL in Feb, 1965 in my senior year at LHS. We lived in Sarah Ann on the curve next to the bridge and our house was across the road from a slate dump. The Hatfield Cemetary was behind our house up on the hillside and us kids used to play around up there on the hillside. Our house burned down in 1961 there while we were in Logan. Have some good friends and fond memories but it is not the same there now. Sometimes you have to move forward in life and just hold on to the good memories of your youth. I was thinking just this morning while looking at old pictures of how mom & my grandmother would cook for days and we would eat dinner in less than 30 minutes but we always had a great time. My dad used to work double shifts at Stirrat #15 mine so a lot of times he wasn't home and it was good to have him with us for the holidays. My grandmother's house smelled wonderful with all the cooking going on. Thanks for the memories. Hope all of you have a Happy Thanksgiving..
Great story Mr. Browning. I was one of the lucky kids in Omar to have your grandmother as a sixth grade teacher she was a big influence on my development. Your Dad used to stop in and visit her so he was one of the cool older guys we boys looked up to. Especially after he becam. Forest ranger with a pistol and a truck. Wow! I recognize your Uncle Johnny on the left side of the picture. We played a lot of baseball together. Omar was definitely a great place to grow up in those days. You really captured the spirit, and the reality, of that environment with your writing. Thank you. I loved reading this Matt! I love your Mom and Dad you couldnt ask for better friends and neighbors! Thanks for the walk down memory lane! If my husband had lived we would have been married 51 years on the 28th of this month!! Roy Edwin Thomas has assembled a number of personal recollections of mountain life in the State Corner, where the borders of North Carolina, Tennessee, and Virginia meet. From August 1974 to April 1977, Thomas interviewed forty-four residents of the area, all born between 1871 and 1905, to record the dialect, folklore, and culture of the Southern Appalachians. Thomas also includes a brief history of the settlement of the area and identifies most of the pioneers as English in origin, followed by the Scots, Scots-Irish, and Welsh. The large concentration of immigrants from the British Isles in the region leads to an interesting comparison of the Appalachian dialect with “Old English,” that of the King James Bible and Shakespeare.